A developer has pulled the plug on a 500 million baht construction project in Chiang Mai. Sunshine International, Thailand’s leading brand of retirement residences told Thaivisa on Tuesday that their project which was due to be constructed near the city centre has now been cancelled. Sunshine International, a retirement property which offers residents round the clock medical facilities, with on site doctors and nurses, and state of the art facilities, was due to be built on a five rai site in central Chiang Mai. However, the company says that due to the problems the city is experiencing with poor air quality, smog and pollution it has been forced them to cancel development of the Sunshine International Retirement Residences. “It’s a real shame”, said Andrew Stocks of Sunshine International. Andrew said that his company had seen an increase in people contacting them saying they have been forced to leave Chiang Mai because of the smog. He said that due to the negative impact on the local economy, as well as the impact the pollution has on people’s health, the project is currently not viable. However, Andrew said he believes the pollution situation will not improve until proper action is taken against those responsible for the burning that is taking place across Chiang Mai. He called on the authorities to step in to help protect the livelihoods of local people who rely on income generated by the tourism industry in the region. The news comes after the Tourism Authority of Thailand said it expected tourism levels in northern Thailand during Songkran to drop by 10 percent due to the problems with haze. According to The Nation, TAT Governor Yuthasak Supa﻿sorn﻿ said the haze problem in the northern region would have a direct impact on tourism levels in the North during the Songkran festival from April 12 to 16. It is expected that the number of tourists will drop by more than 10 per cent compared to last year. Hence, tourist groups are expected to adjust their travel plans and choose to travel to other areas in the Kingdom instead. As a result, tourism revenue in Chiang Mai and northern Thailand will be reduced by 2 billion baht. 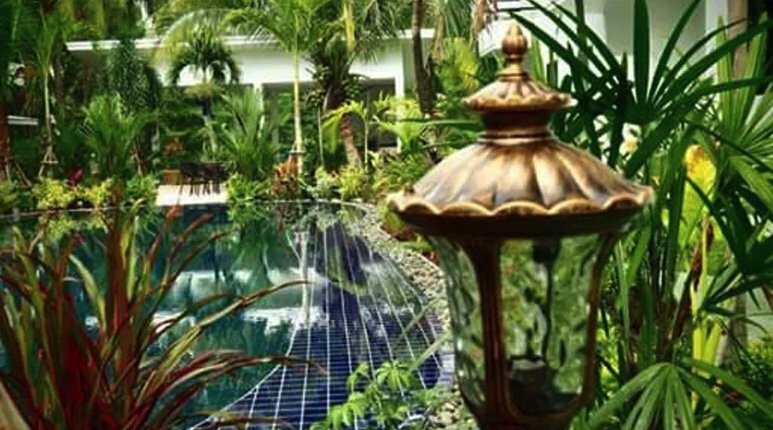 At present hotel occupancy rates in Chiang Mai are at approxiamtely 60 percent, the Nation reported. About bloody time someone walks out with their wallet. It’s the only thing they will understand, a loss of income. Can anybody living in or around CM confirm whether or not any work whatsoever was started by Sunshine International at the site ? If not , perhaps it was an opportunistic statement by this company to bury their own bad news. Perhaps the business model did not "hold water" anymore with the significant drop in foreigners able to afford this care or maybe the company could not raise the capital to develop based on forecast projections. So let's blame it on the smog and save face perhaps ? Tool late, all of Hua Hin is a retirement project. Outstanding news. Only when the environment has a fiscal impact on the economy, will this hapless administration take notice, and start the kind of planning they should have been doing for the past 60 months. What exactly have they been doing? Perhaps an opportunity. Budget airline one way flights from CM to Switzerland ? And I have the name for it too - Snuff Airways ? You can blame alot of that on the biggest joke, and Prayuth. Both appear to be ultra nationalists and both appear to dislike foreigners and scare away Western tourists and ex-pats. Real tile is so cheap to buy/install here do not believe there is much market for cheaper alternatives. Have never seen other than for wall decoration. Or Aliens being able to obtain reliable long stay visas in their retirement years. To tell you the truth the administration have all got nice jobs in air con offices with good pensions and medical care so I don't think they give a toss. I think you are imagining that the average tourist would even know who big Joke was. An off topic post and a reply has been removed.